Research is an often-misused term, its usage in everyday language very different from the strict scientific meaning. In the field of science, it is important to move away from the looser meaning and use it only in its proper context. Scientific research adheres to a set of strict protocols and long established structures. Often, we will talk about conducting internet research or say that we are researching in the library. In everyday language, it is perfectly correct grammatically, but in science, it gives a misleading impression. The correct and most common term used in science is that we are conducting a literature review. What is research? For a successful career in science, you must understand the methodology behind any research and be aware of the correct protocols. Science has developed these guidelines over many years as the benchmark for measuring the validity of the results obtained. Failure to follow the guidelines will prevent your findings from being accepted and taken seriously. These protocols can vary slightly between scientific disciplines, but all follow the same basic structure. Purpose of Research - Why do we conduct research? Why is it necessary? 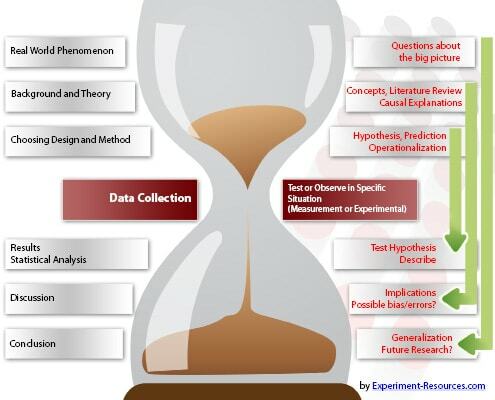 The steps of the scientific process has a structure similar to an hourglass - The structure starts with general questions, narrowing down to focus on one specific aspect, then designing research where we can observe and analyze this aspect. At last, the hourglass widens and the researcher concludes and generalizes the findings to the real world. Research in all disciplines and subjects, not just science, must begin with a clearly defined goal. This usually, but not always, takes the form of a hypothesis. For example, an anthropological study may not have a specific hypothesis or principle, but does have a specific goal, in studying the culture of a certain people and trying to understand and interpret their behavior. The whole study is designed around this clearly defined goal, and it should address a unique issue, building upon previous research and scientifically accepted fundamentals. Whilst nothing in science can be regarded as truth, basic assumptions are made at all stages of the research, building upon widely accepted knowledge. Research does require some interpretation and extrapolation of results. In scientific research, there is always some kind of connection between data (information gathered) and why the scientist think that the data looks as it does. Often the researcher looks at the data gathered, and then comes to a conclusion of why the data looks like it does. A history paper, for example, which just reorganizes facts and makes no commentary on the results, is not research but a review. If you think of it this way, somebody writing a school textbook is not performing research and is offering no new insights. They are merely documenting pre-existing data into a new format. If the same writer interjects their personal opinion and tries to prove or disprove a hypothesis, then they are moving into the area of genuine research. 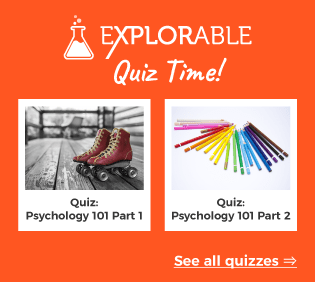 Science tends to use experimentation to study and interpret a specific hypothesis or question, allowing a gradual accumulation of knowledge that slowly becomes a basic assumption. For any study, there must be a clear procedure so that the experiment can be replicated and the results verified. Again, there is a bit of a grey area for observation-based research, as is found in anthropology, behavioral biology and social science, but they still fit most of the other criteria. Planning and designing the experimental method, is an important part of the project and should revolve around answering specific predictions and questions. This will allow an exact duplication and verification by independent researchers, ensuring that the results are accepted as real. Most scientific research looks at an area and breaks it down into easily tested pieces. The gradual experimentation upon these individual pieces will allow the larger questions to be approached and answered, breaking down a large and seemingly insurmountable problem, into manageable chunks. Research is cyclical, with the results generated leading to new areas or a refinement of the original process. The term, research, is much stricter in science than in everyday life. It revolves around using the scientific method to generate hypotheses and provide analyzable results. All scientific research has a goal and ultimate aim, repeated and refined experimentation gradually reaching an answer. These results are a way of gradually uncovering truths and finding out about the processes that drive the universe around us. Only by having a rigid structure to experimentation, can results be verified as acceptable contributions to science. Some other areas, such as history and economics, also perform true research, but tend to have their own structures in place for generating solid results. They also contribute to human knowledge but with different processes and systems. "What is the Scientific Method?"